If you've always wanted an Ubuntu phone, Meizu's Pro 5 is a compelling option, and it's easily available to U.S. buyers. There’s a new Ubuntu phone available from Chinese phone maker Meizu, and you can get it right now. The Meizu Pro 5 is a high end phone running Ubuntu OTA 10 OS, and it looks like a nice step up from the MX4 Ubuntu phone that Meizu announced last year—a phone that rolled out in China and Europe. The Pro 5 is available to U.S. buyers starting Tuesday for $370 from China-based online electronics retailer JD.com. The dual-SIM phone features a 5.7-inch 1080p AMOLED display, 21.16 megapixel rear-facing camera, 5MP front-facing camera, 32GB of onboard storage, and 3GB of RAM. The device is powered by Samsung’s Exynos 7420 processor—the same SoC used on Samsung phones such as the Galaxy S6 and S6 Edge+. That’s a compelling set of specs and a strong follow to the MX4 and its MediaTek MT6595 SoC and 5.36-inch display. With a sub-$400 price tag, the Meizu Pro 5 is a soft hit on the wallet, but as with previous Ubuntu phones it is still squarely in the realm of the enthusiast market. With only limited availability through an overseas retailer, the phone will really only be picked up by people actively looking for it. That’s probably just fine for Canonical and its partners since it’s still early days for Ubuntu on mobile. The impact on you at home: Ubuntu phones will probably never be anything more than an option for enthusiasts, which is also the case for the Linux desktop. That’s not only because creating a popular alternative to Android and iOS is a big challenge. 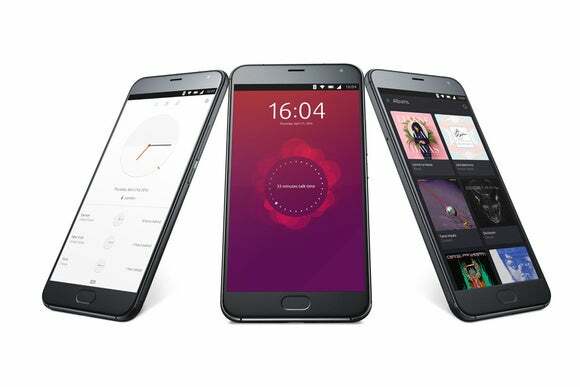 Ubuntu phones also try to get away from the app-focused user experience of Android and OS. 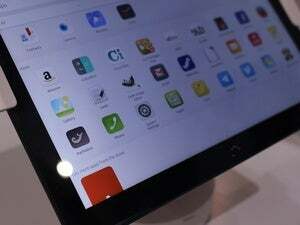 Instead, Ubuntu phones focus on homescreens called Scopes that gather content from multiple sources into one spot. That’s an interesting idea reminiscent of early versions of Windows Phone, which also tried to re-think the app paradigm. But it’s also an approach that hasn’t caught on in any meaningful way, and is unlikely to anytime soon.